Megaventory Blog - Online Inventory Management Software, Order fulfillment and Control System: Megaventory integrates with 1,000 apps! Getting your work done as a modern business requires the combined use of many apps. You may have a CRM app to manage communications with your clients, an e-mail marketing tool to automate your mailing lists, an inventory management system to streamline your supply chain operations and order fulfillment, and an accounting platform to track your payments and keep your books updated. While all these apps can reduce workload greatly, wouldn’t be awesome if in some way they could also talk to each other, automatically? Now this is absolutely possible! Megaventory now connects to 1,000 other web tools, thanks to our Zapier integration. With workflow automation tool Zapier, you can set up your own integrations called “Zaps”. Zaps will automatically send information from one tool to another, so you’ll spend less time manually transferring data between business tools and can dedicate more focus to creative, big picture tasks. 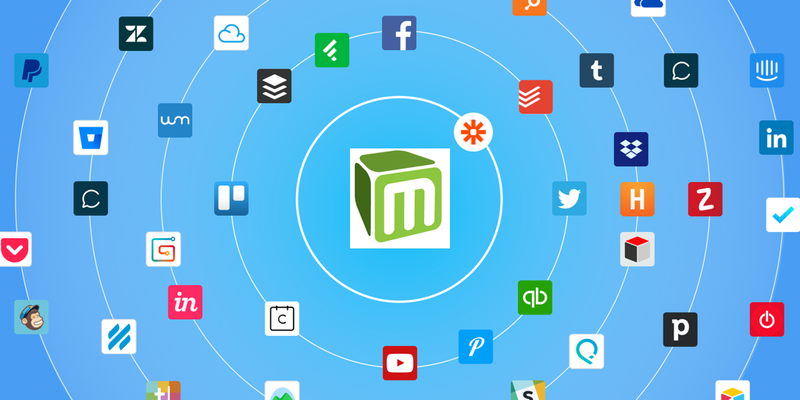 Since 1,000 apps is a quite overwhelming number, we’d love to mention three apps that work complementary with Megaventory and you can try out today. Process Street is a business process management tool that makes it easy for businesses to create and collaborate over recurring checklists like client onboarding, sales qualification, and supplier evaluation. It helps teams improve consistency because every member knows exactly what they’re supposed to be doing next, and task progress is visible to managers. But how to use the integration with Process Street? Integrations save you time from mundane tasks like data entry, one of the biggest time wasters. One tedious data entry task is updating your inventory management software with the data of a new supplier. If you have already filled this data while evaluating suppliers you can save time from doing this again in Megaventory, by having Zapier do the filling in for you. In the same logic, with Zapier you can trigger a reversed zap. For example, if you have in place an onboarding process for every new customer, you can set it up to create a new checklist each time a new client is created in Megaventory. Even though a customer bought from you once, this doesn’t necessarily mean that they will do so again! Often, customers are dissatisfied with the purchase or delivery process, and their previous experience with your business prevents them from going forward with a second purchase. Many times angry customers become vocal about their feeling, but it is quite often that a customer will decide to remain silent on this and just don’t ever do business with you again. As a business owner, you may see your churn numbers growing up and have absolutely no clue why. The answer? Just ask them with a survey! SurveyMonkey is one of the most popular survey platforms, allowing you to easily build, send and monitor your surveys. Although it is commonly used for research, did you know that you can also use it to gain valuable information on your customers? For example, you can set up a zap to send a survey about their recent purchase, each time a new client is created in Megaventory. Intercom is a popular CRM solution and one we use ourselves and love. You can use it to set up a live chat on your website (customers with unanswered questions often means abandoned carts!) or/and streamline your e-mail marketing efforts. How to use Intercom integration? Data entry is a tedious task so the more you can eliminate, the better! With this integration, you can set a zap to automatically update a company or user in Intercom, when a client in Megaventory is updated and vice versa. That way you are always sure that your customers’ data are always up to date, and your messages reach the maximum number of people. With so many available integrations the possibilities for automation are endless. To help you out on this, Process Street has created a thorough guide on business process automation through Zapier. This guide will walk you through several examples of business process automation being used right now by startups and enterprises, and help you start saving time and money today. So, why don’t visit Zapier’s page and experiment with the available triggers and actions? If it is too overwhelming (the options are THAT many now!) just send us a message at support@megaventory.com and we will respond with the best combination of triggers/actions to achieve your desired result. CRM is very helpful for managing clients and website. Helpful information shared by you. I am an artist, and diamond painting is very wonderful. It is an easy scratch art , you must need to try. Some times it become very messy to handle clients and there work. CRM somewhere help us in managing these problems. Ever heard about diamond religious art.